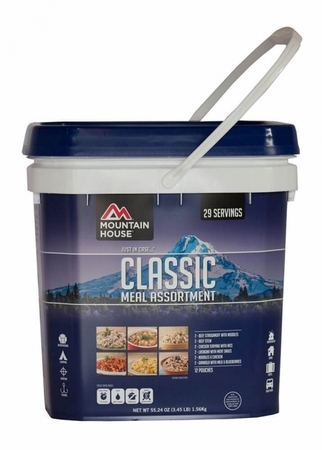 Mountain House Just in Case... Classic Bucket is the perfect solution for those who want a reliable emergency food supply that doesn't take up a ton of space. 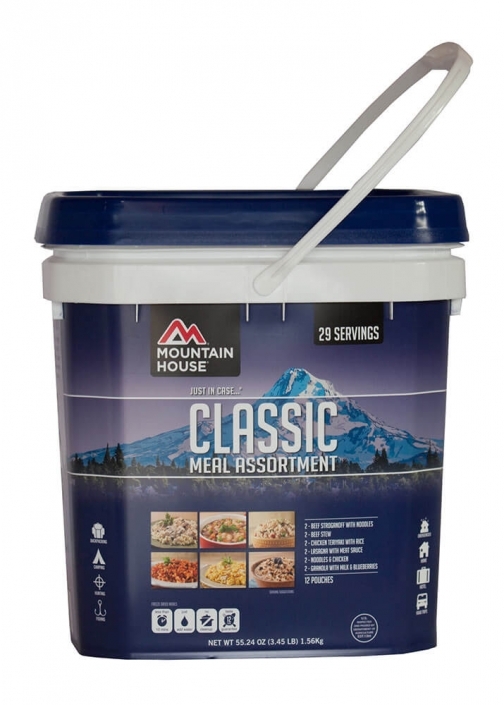 With 29 servings of some of our most delicious options, Mountain House Classic Assortment Bucket is compact and easy to store just about anywhere – even in your car for that next camping adventure. 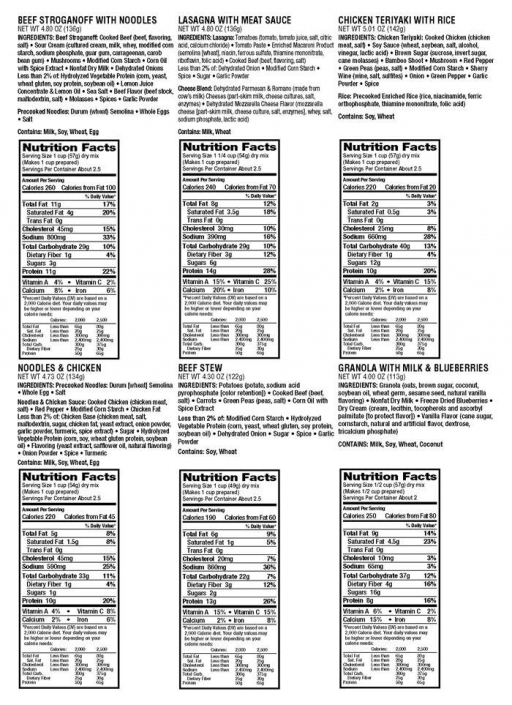 You'll need 21 total cups of water to make these meals, but other than that, just bring your appetite – our meals can be whipped up in a cinch! 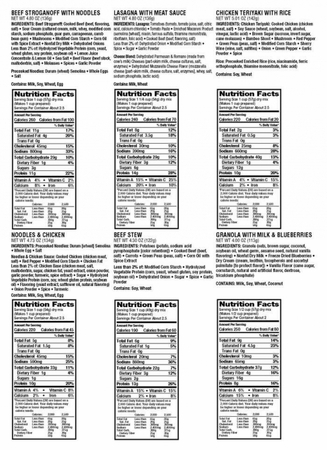 Perfect for emergency preparedness, camping, backpacking or at-home use. Hungry yet? We don't blame you – with the Mountain House Just in Case... Classic Bucket, you'll have plenty of appetizing food that's guaranteed to taste amazing in 30 years!